Calabria has a wealth of natural attractions from beautiful coastline to rugged mountains. If lying in the baking sun gets too much for you, you can always find refuge by taking a plunge in a gorgeous waterfall. After a good trek through the Calabrian countryside there is nothing more satisfying than stumbling upon water cascading down a mountain and in the height of summer it is even better. 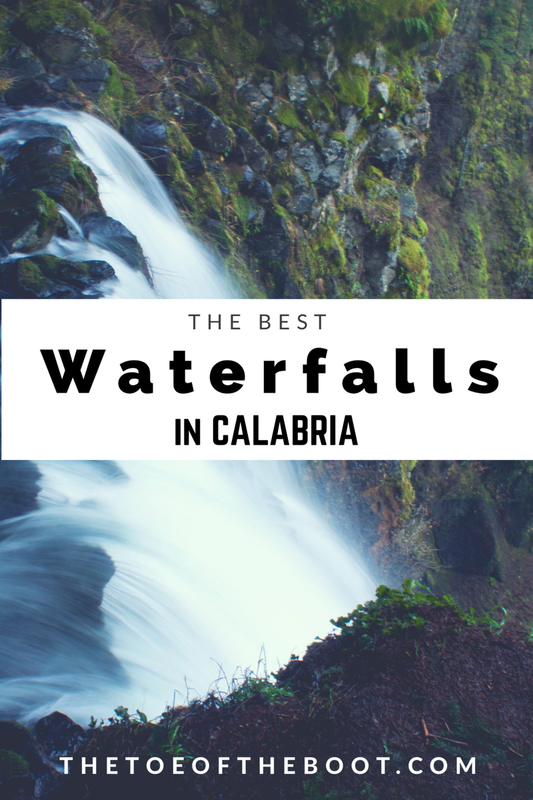 Here are some of the best waterfalls in Calabria. In the heart of the Aspromonte National Park you will find the Maesano waterfalls (also known as the Amandolea waterfalls). A 1 1/2 hour trek (or jeep ride for those less able or willing) from the nearby dam, down a mountain will lead you to this beautiful site complete with a stunning lake which though beautiful, is heart-stoppingly freezing even in the height of summer. 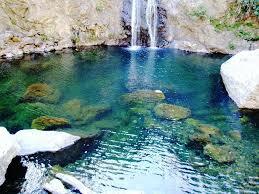 Just a short walk down a beautiful mountain path will lead you to this gorgeous waterfall and its icy waters. Beneath the waterfall is a deep pool which according to local legend is so deep that the water flows directly to the depths of hell! 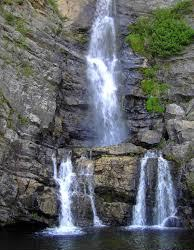 In the comune of Samo you can visit the Cascate Forgiarelle. Generated by the Ferraina torrent, this is not the easiest of places to reach but it is definitely worth the effort. An arduous trek down a narrow path is made worthwhile by the stunning views that you take in and of course the beautiful multi-forked waterfall that you reach at the end. Thundering down from an impressive 30 metres, you can’t help but be blown away by this incredible waterfall. 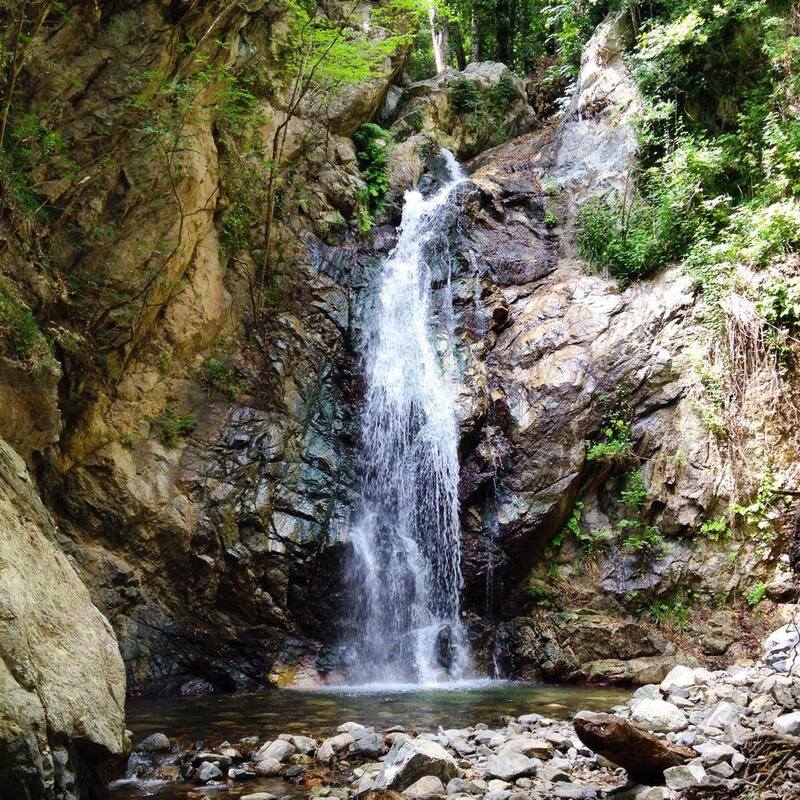 A short trek (45 minutes) surrounded by nature will take you to the foot of Mount Reventino where you will find these impressive waterfalls. 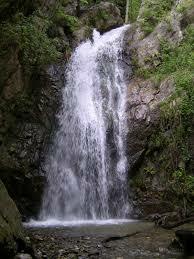 The star of all the Calabrese waterfalls is the Cascate Marmarico in Bivongi. They boast the highest waterfalls in Calabria at a massive 114m and a visit to these will certainly refresh your body and mind. To reach them it’s a long hike or you can go with a jeep tour and just trek the last part, accompanied by the sound of the waterfall. Once there you can swim in the icy cold water, if you’re brave enough of course! If you fancy taking a dip in one of these waterfalls click here to find out how to get to Calabria and how to get around. I lived in Calabria for 3 years back in the 1980’s. I love seeing your photos! Thank you, it’s a gorgeous place isn’t it? Very! All of Italy is beautiful. I can’t wait to go back one day. These are lovely photos! I haven’t had the chance to check out these places yet, but this post makes me think I need to go back to Italy soon! I’ve never been to Calabria, the only place I’ve actually seen was Venice. These look spectacular though, I’d love to come back and see all of them! Ahh! Your travel posts always give me serious wanderlust, but these are particularly stunning! This is such a nice compilation of waterfalls in Calabria, really like the details you mentioned for each Waterfall. How beautiful are they! Stunning photos…. I love waterfalls… Any water really.. I don’t know why but I didn’t expect Italy to have lots of those!